AUBURN HILLS, Mich. (AP) -- Joe Dumars and the Detroit Pistons had been waiting a while for this offseason - and it showed. The Pistons have finally been able to give their roster a significant makeover, adding Josh Smith, Chauncey Billups and Italian star Luigi Datome. It remains to be seen how much the team will improve, but for the first time in a while, there's a bit of a buzz surrounding this struggling franchise. After four straight seasons without a playoff berth, Detroit entered the offseason with plenty of space under the salary cap. Dumars, the general manager, said this week he's accomplished what he wanted to via free agency. ''The only thing left now is trade possibilities, and that door will continue to be open,'' he said. Detroit's rebuilding process has been slow. First, Tom Gores became the team's new owner in 2011 following a drawn-out sale that added to the sense of gloom hanging over the team. Over the next couple years, the Pistons parted ways with Richard Hamilton, Ben Gordon and Tayshaun Prince, giving themselves flexibility they would put to use in 2013. Smith is the key free agent addition. The 6-foot-9 forward joins a front line that already includes promising big men Greg Monroe and Andre Drummond. Detroit hired Maurice Cheeks as its new coach in June, but when the Pistons drafted guard Kentavious Caldwell-Pope later that month, passing on local favorite Trey Burke of Michigan, it looked like they would again struggle to win back the support of an increasingly apathetic fan base. The free agent moves have added some much-needed intrigue to the coming season. 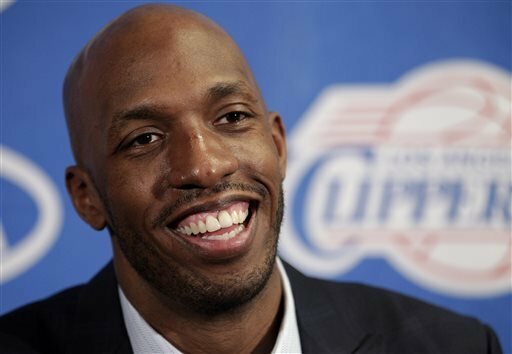 The popular Billups was the MVP of the 2004 NBA Finals with the Pistons. He was traded four years later, and bringing him back as a free agent gives the team a veteran who may be able to help mentor young guard Brandon Knight. The 25-year-old Datome, meanwhile, is a bit of an unknown commodity. The 6-foot-7 forward could give Detroit some quality outside shooting if he can adjust after arriving from Europe. Dumars remained open to the possibility of more changes, but the roster that starts the season may look similar to what's already been assembled. Dumars said the team didn't use its amnesty waiver on forward Charlie Villanueva because Detroit didn't need more cap space. Dumars also said Villanueva's skill set - he's a 6-foot-11 forward who made 90 shots from 3-point range last season - could still be of use to the Pistons. There is still plenty of room for improvement, but as promised, the Pistons have been busy this offseason. They couldn't afford to wait any longer.